The Department of Health and Human Services (HHS) announced a proposed rule on April 9th to delay the compliance date for ICD-10 (International Classification of Diseases, 10th Edition) by one year, to October 1, 2014. The rule would also add a requirement for NPI (National Provider Identifier). 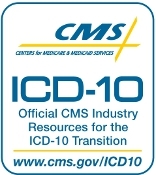 The American Health Information Management Association (AHIMA) has expressed its preference for “no delay” in ICD-10 implementation and compliance, but is recommending healthcare providers transition to ICD-10 as quickly as possible. The American Medical Association (AMA), on the other hand, issued a statement in appreciation of the delay and noting concerns about providers’ ability to meet the original compliance date, as well as implementation issues associated with ANSI 5010, compliance with which is necessary prior to implementation of ICD-10. Medical billing software such as Allscripts MyWay, Medisoft, Lytec, and McKesson Practice Choice will need to be current in order to be ICD-10 compliant when the deadline arrives. Microwize Technology, a leading VAR for these products, can assist in the implementation of ICD-10 for healthcare providers.